My daughter is back to her touch, energetic, happy self. She is laughing, smiling and talking, climbing on couches, playing in dirt, chasing her brother and eating up a storm. It’ nice to have her back. I can take no credit for finding this idea. I’ll have to credit Cool Mom Picks (check out their great website) for that, but it is way too great so, of course, I had to pass it along. Today they reviewed this great, great product called the Designer Diner by Bella Tunno. Great for taking your kids out to dinner and keeping them distracted. It’s a great (I know I keep saying that but it truly is) wipe clean mat on one side and a reusable chalk mat on the other. It comes complete with a non-toxic chalk set and a detachable pocket. They have great colors and patterns to suit your little prince or princess. I’ll be ordering one for my son. This is a great gift for any mom friends you know. If you go over to Cool Mom Picks right now you can enter to win one in their contest (you have to enter by midnight). Don’t stop shopping at the Designer Diner. Bella Tunno has a bunch of great items on their website for yourself or great gifts for new moms. and the Bib Bundles – a super cute coordinating set of a Bella bib, Bella burp cloth and a Bella binker. You can also purchase all of these items separate. Oh yeah and don’t forget about the Ditty Wristlet because carrying dipers and the essentials doesn’t always have to cramp your style. This fashionable clutch converts any bag to a diaper bag. It unfolds to a changing mat, carrying wipes, 2-3 diapers and a few mom essentials in a secure back pocket. Go on over to Bella Tunno and check it out . Sometimes I feel like the kids have taken over, and the mess follows me out of the house and right in to the car. My son won’t go anywhere without Thomas the Train and a few famous cars in tow (thanks Disney). I dreed the day we can’t find them, so I keep back-ups in arms reach. Wouldn’t it be great to organize your car, as much as it can be organized with kids, and keep a few extra toys and books in the car just in case, without having to worry that they will slide under your brake or gas pedal as you drive down a steep hill (not that that has happened to me, but almost). I found these cute and inexpensive, yes let me repeat that, inexpensive, car organizers at Lillian Vernon. What parent doesn’t need a backseat car organizer? Anyway, for just $12 they come in great primary colors for you little boys and pastel colors perfect you your little girl and, even better, they can be personalized. Now I’ve got time to waste as I wait for the primary results, what can I do to pass the time? Besides cleaning up the endless over spill of toys around my house, changing diapers, feeding kids, tending to crys, watching my almost one year old walk and playing referee. Why not shop (or computer shop) at this cute little online store I came across called Kangaroo Boo? Created by a stay-at-home mom and her husband from the heartland of Iowa (don’t knock it till you tried it, as a kid I lived in Des Moines), Kangaroo Boo tries to inspire you child’s smart play with selections that inspire creativity and encourage imagination and intellect. They have a great selection of wooden and homemade toys. and another must buy for the mom of any binkie lovin’ little ones, check out the adorable pacifier clips. For my son who is completely into anything having to do with cars and trains, he would completely get a kick out of the car tower and the crane (both pictured below). I could go on and on but then what fun would it be if you didn’t check it out for yourself and discovery all the adorable stuff they sell that will make your husband think he needs to get another job to support all the toys you’ll want to buy. Another great part about their company is that her husband, correction (sorry! ), she is a cancer survivor and part of the proceeds go to children’s charities. At the check out process you, the customer, can help decide what charity you would like the money to go to! Our feet are the means to a destination, why not get there in style? Now that my almost 3 year old has outgrown baby socks, I am intent on letting the “cute sock” legacy live on through my 10 month old. Your little one will definetly get plenty of oh’s and ah’s with Trumpette’s adorable socks for boys and girls. This is also a great baby shower or new mom gift. My mom gave me a box of the ballerina socks before I had Sophia, the mere site of them (and probably my hormones), made me break out in tears. Their website declares, “Our Baby Socks Rock”, and clearly they do. Last time I looked, I didn’t notice they have awesome toddler socks, which they clearly do, so George isn’t out of the woods yet. I love these, titled, “Full Mickey”. Think I could get away with it? And they have Future Star for boys. At less then $20 for the set, you can’t beat it. If you have the problem I do, keeping all the socks together and not losing them? You could head on over to Little Miss Matched. They sell their socks in a group of 3, that way if you lose one, there is always another one to go with it. And the color combinations are adorable. They not only sell baby socks, but toddler and women’s socks also (for all you mismatched moms). They make being mismatched in. Cute socks are great (for you and your child) if you take your baby or toddler to mommy and me classes! 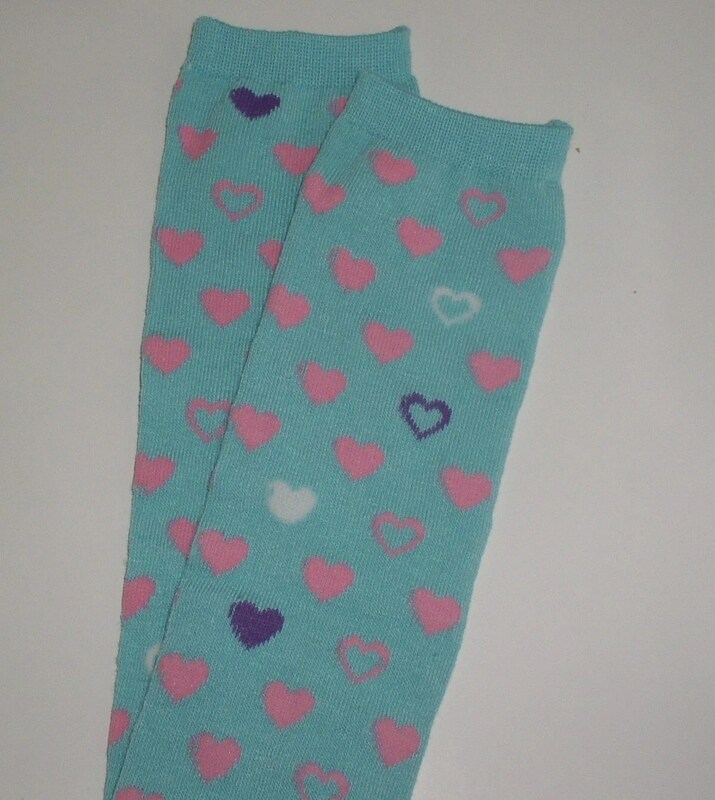 You can’t go wrong with a cute pair of socks, they keep your little ones feet warm and are a great compliment to a cute outfit or personality. Besides the only thing cuter that baby feet (and toddler feet) are baby feet in adorable socks. Great gifts come in small packages, and some come homemade made with a little care and a lot of heart like those found on Etsy. I came across Etsy while scouring the net for baby leg warmers and found Crawler Covers, a product I love, made by a work-at-home mom with your kids in mind. I went back to order more and came across a great gifts for every member of your family and beyond. It may be cutting it close for holiday gifts but definetly keep these in mind for other occasions. Whether you are looking for Christmas, Birthdays, or baby showers (I have one coming up, my sister is due in may), they really have a great selection of items. Hand Crafted Sock Creations. From Kitties, Puppies to an entire Multicultural Family (my favorite), Hand Crafted Sock Creations pretty much covers the bases. Mini Toes. These soft leather shoes give Robeez a run for their money. 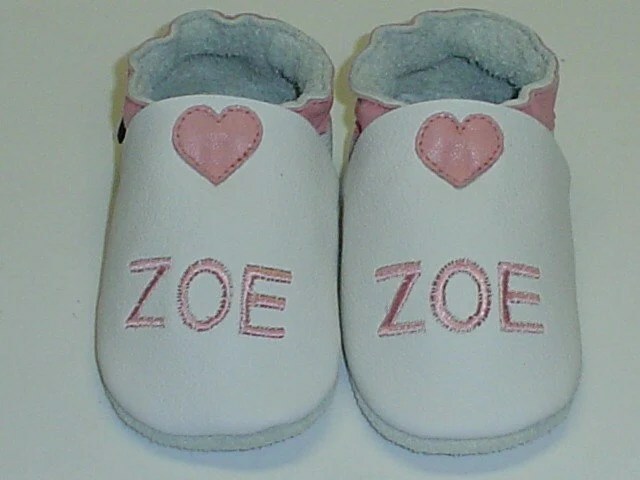 I love the fact you can order custom shoes with your little ones name or initials. RazzBeryy Pie. I love the plush toy sets fond on Razzberry Pie (I also love the name). You can find everything from a Tea Set and Noahs Ark to a Tool set, which I am thinking about purchasing for my son, so he has nothing to bop his sister in the head with, though I am sure he will find something. CherylaSmith . She makes plush toys good enough to eat and adorable enough to play with for hours. 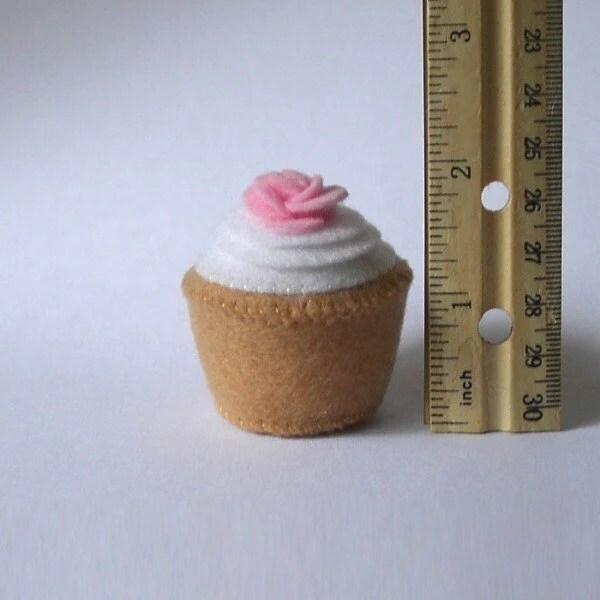 She makes adorable finger puppets, but my favorite are the cupcakes. After the holidays, I’ll be ordering my daughter some of the cupcakes, that is if I don’t eat them first. Don’t forget about Crawler Covers! I ordered these for my daughter and can’t get enough of them! They are soft, a great price and tons of adorable designs to choose from. I’ll be ordering more after the holidays! Bekah knits. 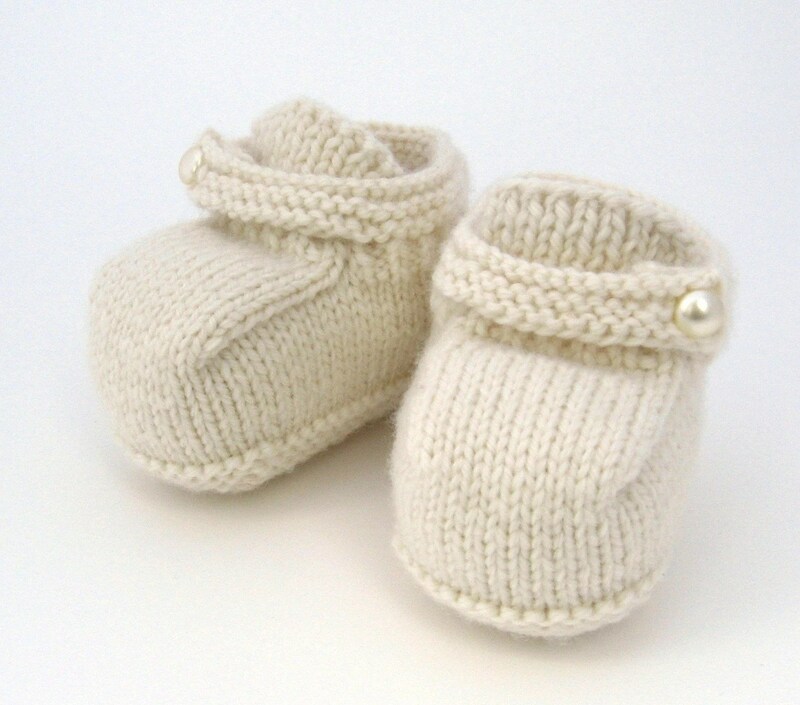 I love these baby booties and will definelty be ordering some for my sister’s baby shower. These booties are completely scrumptious and come in adorable packaging. Made especially for newborns, I’m just mad I found out about them about after my daughter became to big to fit them (maybe I’ll have to wait for baby #3, that is if I have baby #3, according to my husband we are having 4, but that’s another story for another time). These are a few of the many adorable items for sale on Etsy. I haven’t ordered all these items, but these are some of the items I think are definetly worth checking out. How could you possible go wrong? Don’t let your little ones personality fall short of a plain white t-shirt. Sand Box Threads makes sure that doesn’t happen. Your little hipster will be the talk of his preschool class, or at least give the teachers a good laugh in the process (and not because he walked out of the bathroom with his pants around his ankles and his diaper half down). Everyone will love your toddler turned activist, feminist or “dirtiest”. That shirt is my son to a tee (get it!)! while I couldn’t get a bigger kick out of Arnold. Tip: Order now through December 21st and enter code, GIFT10 to receive 10% off. 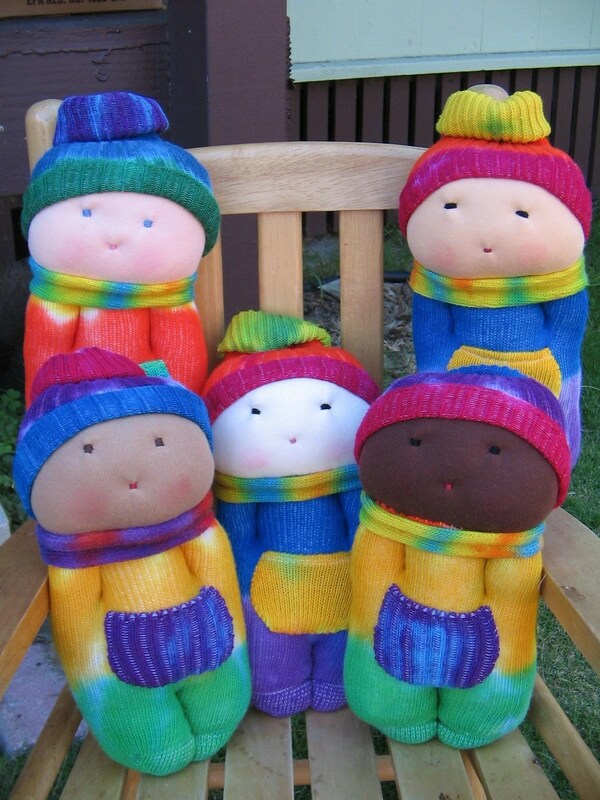 I know I talked about their adorable hats before but Bla Bla kids also has great dolls for kids. I wanted a doll for my 10 month old daughter that she could have for a while, because of her age it also had to be soft and well-made. My sister, checked out their website, and ordered their 18″ Coco doll my daughter Sophia for Christmas. She received it in the mail yesterday and she was impressed with their quality and softness ( a big deal for a baby, or any kid). I love how they have dolls of with a bunch of characteristics. If you don’t want a Girl doll, they also have Monkeys, Kitties, Doggies, Fairy Tale and Garden dolls (all just as sweet and adorable). I was thinking of getting the Monkey doll for my son. Check out their website they have a great selection of unique, adorable gifts for your little one, ranging not only from the hats and the dolls, but finger puppets, back packs, and rattles (just to name a few). Bla Bla Kids seems like a company built on great ideals and ethics. Besides how could you not resist their motto, “happiness fits in the palm of the hand”. That’s enough to put a smile to my face.